Aeryon Skyranger unmanned aerial systems (UAS) in flight. Credit: FLIR Systems, Inc.
FLIR Systems has acquired global unmanned aerial systems (UAS) developer Aeryon Labs for $200m. Aeryon’s existing vertical take-off and landing quad-copter airframes are equipped with multiple sensors such as FLIR thermal technology to provide high-resolution intelligence, surveillance and reconnaissance (ISR) capability to the users. The company primarily serves the military, public safety, and critical infrastructure markets worldwide. With headquarters in Waterloo, Canada, and offices in Denver and Salt Lake City in the US, Aeryonis engaged in the development of Group 1 UAS solutions that are based on aircraft weighing less than 20lb. Established in 2007, Aeryon develops a number of UAS solutions that include hardware, embedded software, ground control stations, sensors and flight operation software. 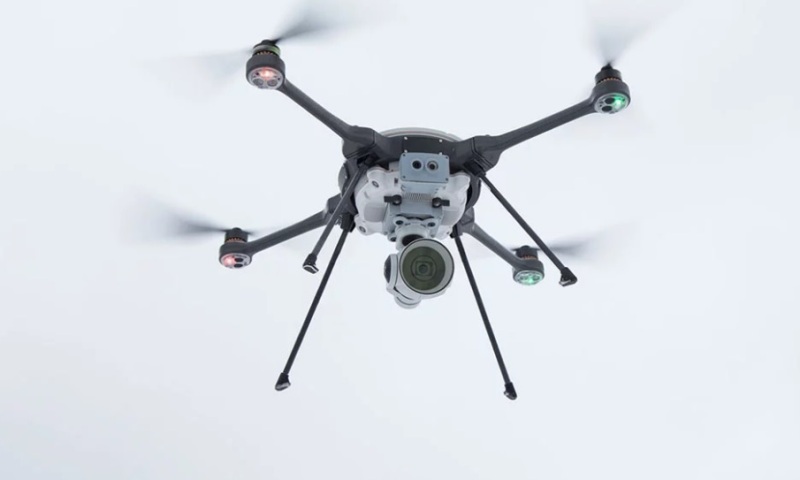 Aeryon has become part of the FLIR Government and Defense Business Unit’s unmanned systems and integrated solutions division. The acquisition expands FLIR’s UAS solutions with advanced airframes, sensors, and flight management software for government and defence customers. FLIR Systems president and CEO Jim Cannon said: “The acquisition of Aeryon Labs reinforces our long-term strategy to move beyond providing sensors to the development of complete solutions that save lives and livelihoods. “This acquisition, coupled with our acquisition of Prox Dynamics in 2016, greatly increases our unmanned systems solutions capabilities, expanding beyond nano-UAS into Group 1 UAS solutions for the military. FLIR Systems develops sensor systems that improve perception and heighten awareness.